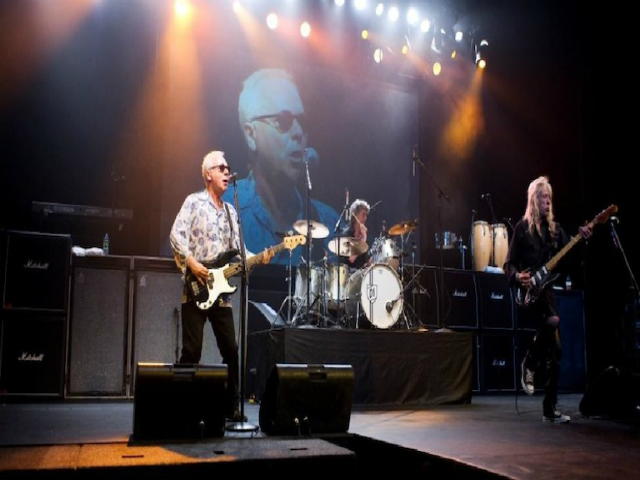 After departing Fludd, in the mid-70s, Greg Godovitz (Bassist-Vocals) set out to put together an unmitigated Straight Ahead, In Your Face, Hooks & Riff-Riddled Rock Band with an infectious sound and a live presence that would command any stage and audience. He succeeded, and Goddo became a mainstay of the Canadian rock scene.Since coming off their Sold Out 2010 35th Anniversary Re-Union Concert Goddo has once again been transfixing audiences across Canada and affording promoters with "Sold Out Concerts" and extensive post show Meet & Greets with the fans. With eleven albums to their credit, consistently sold out shows, steadfast and new found fans, a documentary film about them in production, and road stories that would make the toxic twins proud, Goddo is healthy, focused and reloaded. "They’ve made an unprecedented return to the stage, that isn’t for the faint of heart"So... You Gotta Ask Yourself... “Can You Handle Another Act of Goddo?” Well... Can You?